The TRNC Immovable Property Commission was established in order to consider and settle claims by dispossessed Greeks who left their homes in the North and fled to the South during the inter communal strife which culminated in the partitioning of Cyprus in 1974. Prior to the establishment of the Property Commission, the only recourse to justice available to dispossessed Greeks was an appeal to the European Court of Human Rights (ECHR). The Property Commission was established in response to an adverse ruling against Turkey in respect of the Titina Loizidou case. Ms Loizidou is a Greek Cypriot who was forced to leave her property in Kyrenia / Girne after the invasion and occupation of North Cyprus by the Turkish army. In 1989, she crossed the UN monitored buffer zone from the south to the north, accompanied by some 8,000 other Greek Cypriot women. Ms Loizidou was arrested by the Turkish army, and after some 12 hours, released to a UN representative. In 1996 the European Court of Human Rights (ECHR), to which Turkey is a signatory, ruled that the actions of Turkey violated her human rights. In 1998, the ECHR further ruled that Turkey should pay her 1.2 million euros in compensation for preventing her lawful access to her property in Kyrenia. Turkey made payment of this account in November 2003. This ruling was an embarrassment to Turkey in that the ECHR held it responsible for the administration of North Cyprus and that the TRNC state was a puppet regime. The amount of compensation was also severe. 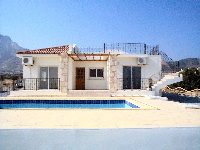 The creation of the North Cyprus Property Commission was aimed to prevent a repetition of such a ruling, bearing in mind that there were up to 1,000 similar cases awaiting a hearing by the ECHR. The next case which was heard by the ECHR was that of Myra Xenides-Arestis. The case was similar to Titina Loizidou apart from the fact that her property was located in the ghost town of Varosha in Famagusta. This area remains out of bounds to civilians and is in the control of the Turkish army. The ECHR in December 2006 awarded her 800,000 euros in respect of pecuniary damage for being prevented from living in her home and having access to, using and enjoying her property in the Turkish-occupied eastern town of Famagusta. The Court also awarded 50,000 euros in respect of non-pecuniary damage and 35,000 euros for costs and expenses. Although the ECHR did not refer the case to the Property Commission, but made a ruling in favour of Ms Xenides-Arestis, it nonetheless made complimentary comments on the efforts of Turkey and the TRNC to make the Commission an acceptable agency for the resolution of other pending claims. Further analysis of this ruling. The full text of the ruling is available as a pdf file. For readers who are old enough to remember Lady Chatterley's Lover, this is the 'full and unexpurgated version'. If you are not using Windows XP, you need to have a copy of Acrobat Reader to access it. However, readers should note that this is a long and complex document, primarily intended for members of the legal fraternity. See the full text of the ruling. 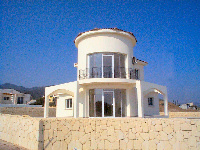 Leslie Hardy is the UK Chairman of Wellington Estates Ltd, a North Cyprus property development company.